Episode one highlighted the huge number of life-threatening incidents we respond to each day. 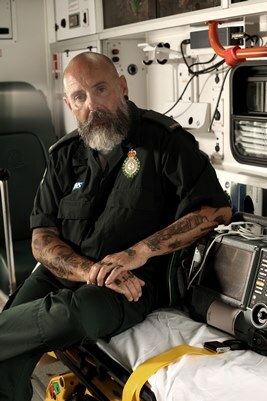 An ambulance crew in Becontree faced a heart-wrenching conversation with the family of a man who has died at home, while an advanced paramedic, who treats some of London’s most critically ill and injured patients, raced to treat two patients, shot in broad daylight. Viewers saw first hand the challenges our control room staff face as they cope with increasing demand, frequent callers and patients who don’t need a 999 response, while trying to get help to those who really need it. A spike in 999 calls meant some people were told they won’t get an ambulance, while we prioritised those who may be fighting for their lives. Follow us on Twitter and Instagram (@ldn_ambulance) and like our Facebook page and join the conversation about #Ambulance. Click here to meet some of the people behind Ambulance and find out what they thought of filming for the documentary and what it’s like to work for the UK’s busiest ambulance service. Are you up for the challenge of helping us respond to 5,000 calls every day?